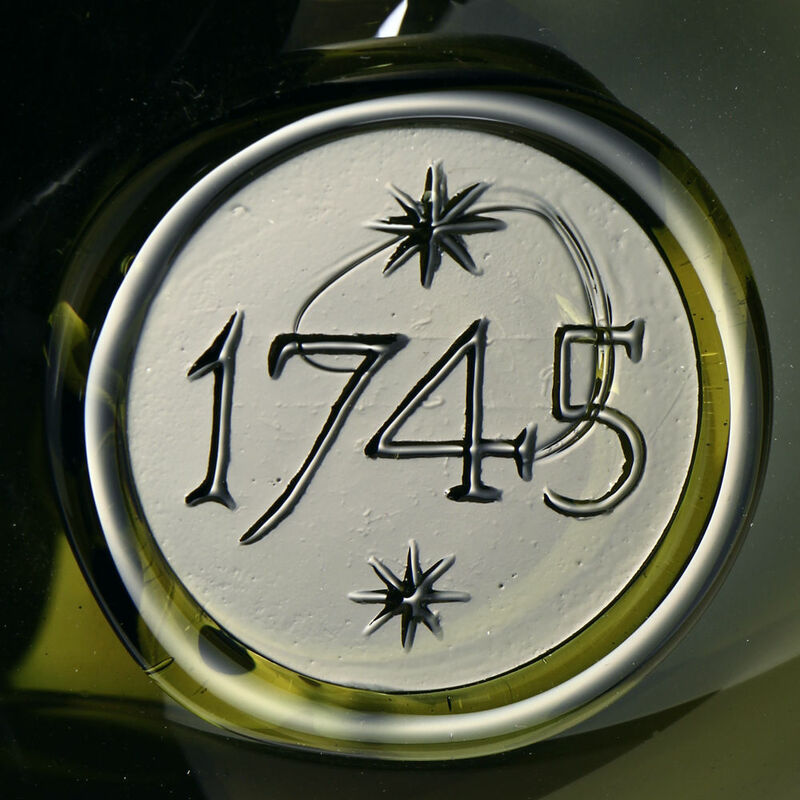 In 2013, we were contacted by the production company for the Starz television series "Outlander" and were asked to make glasses for the set. 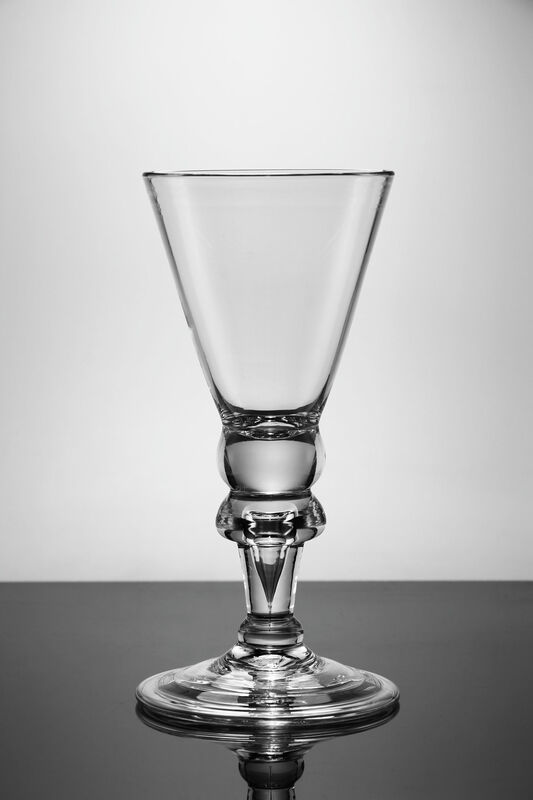 Three designs were selected for the production: The Wedding Scene Glass, Wine Glass 1 and The Banquet Glass. They also selected some Shaft and Globe bottles and some Onion bottles. 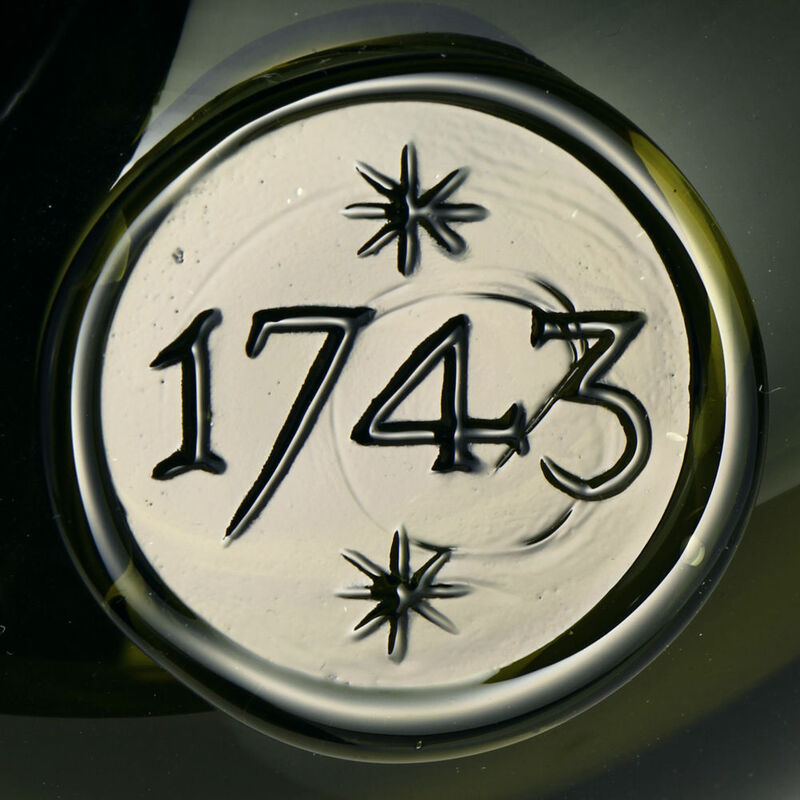 In 2015, for the second season, we supplied Outlander with more dark green bottles, particularly the long-necked Shaft and Globe type, as well as some clear glass decanters with stoppers. 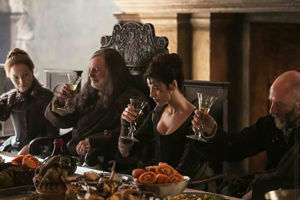 In addition, we have been asked by several Outlander fans if we could make the carafe featured in the Wedding Scene from the first season, as well as clear glass versions of the bottles. 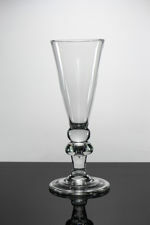 We have also been asked for a champagne flute in the style of Wine Glass 1. Details of these are below. 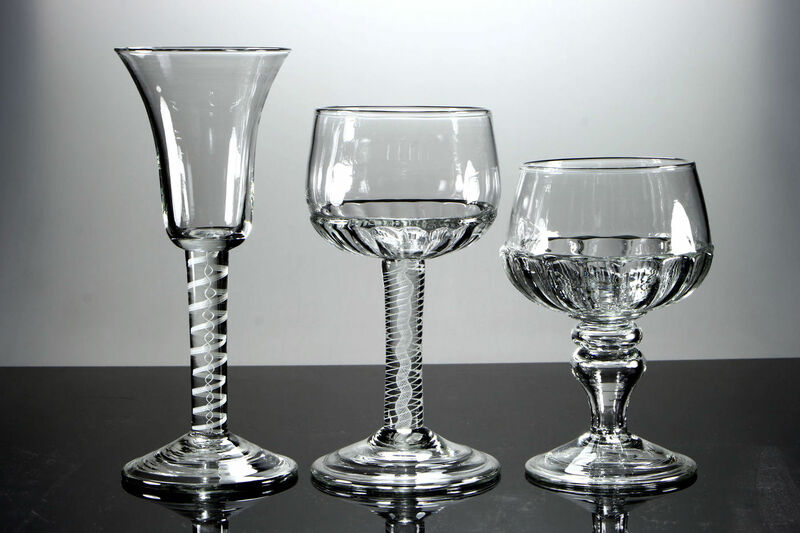 In 2016, for the third season, we supplied another large quantity of glasses: repeats of the original glasses we supplied for the first season. 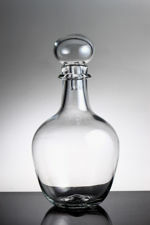 Also for the third season we supplied a large quantity of small and large decanters without handles (see photo). 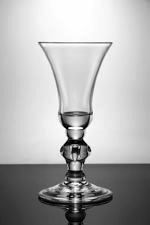 In 2017, for the fourth season, we supplied three new styles of drinking glasses, a tumbler and two new styles of bottles. In keeping with the period, opaque twist wine glasses were introduced, as well as a mead or champagne glass (this shape is now thought to have been used for Rhenish wine) (see photo). 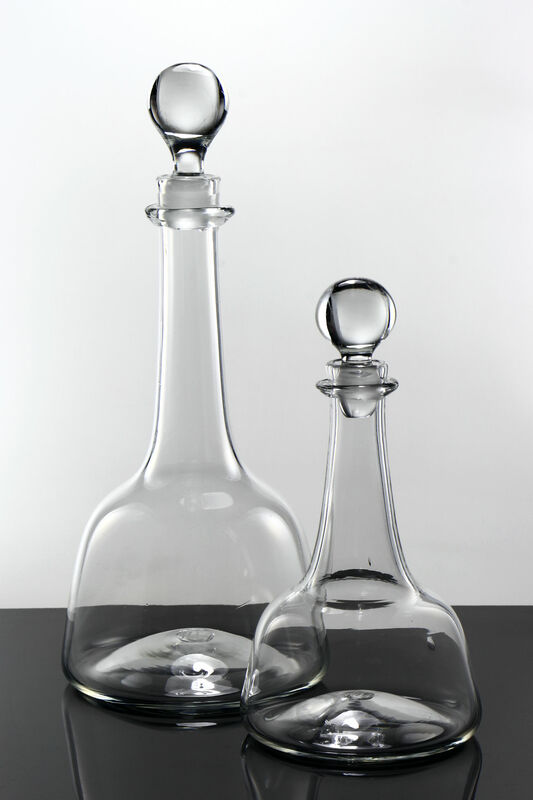 The beer/wine/spirit and champagne bottles also reflected the later 18th century styles. See this page for vessels in stock. 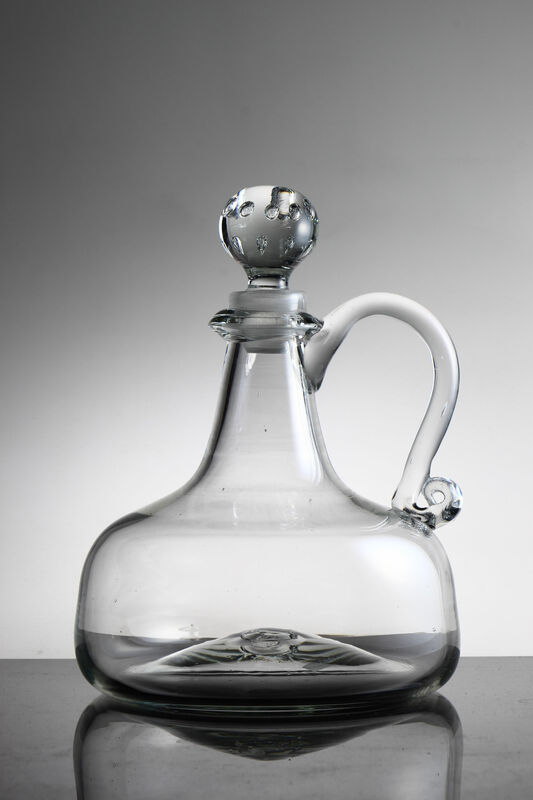 If you wish to purchase glass from the Gallery, please read this page. Measurements in the descriptions below are approximate (circa), and bowl capacities are measured to within 1cm of the rim. Small wine glass with bell bowl, knopped stem and folded foot. 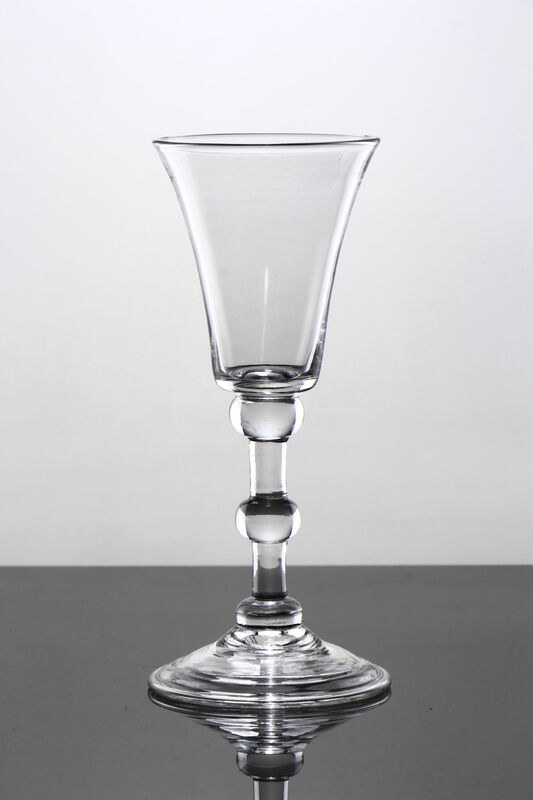 Height of carafe (without stopper) in photo: 8.0"
Wine Glass with thistle bowl, teared mushroom knop stem and folded foot. Wine Glass with bell bowl, teared angular knop stem and folded foot. 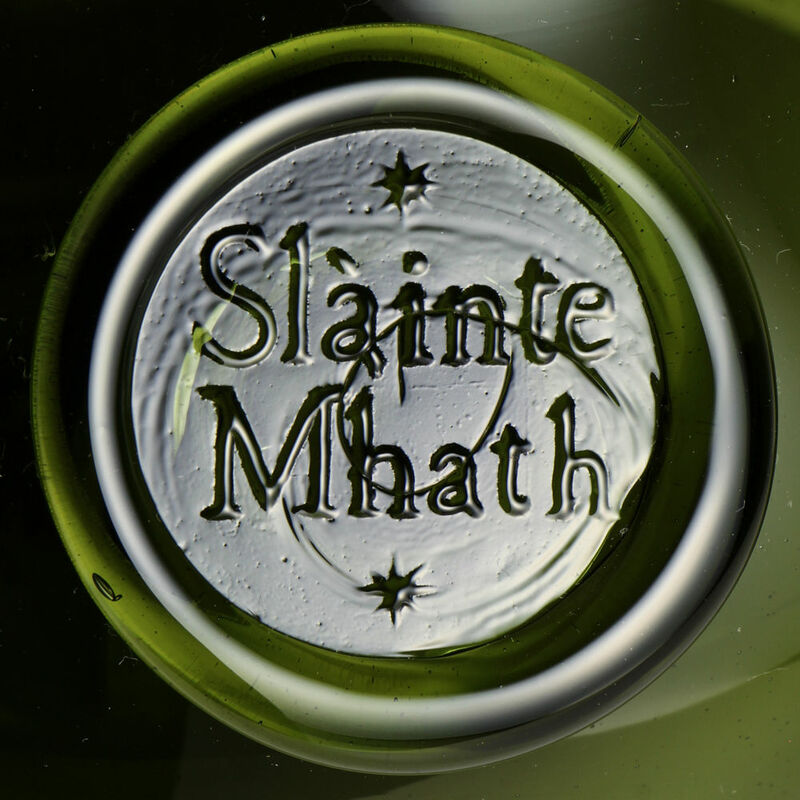 Seven bottle types, both with and without seals, were selected for Outlander. 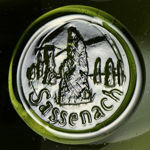 See this page for links to the bottles. 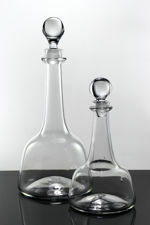 Height of bottle in photo: 8.9"
Seven decanter types, both with and without stoppers and handles, were selected for Outlander. 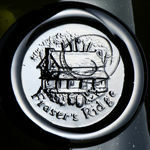 See this page for links to the decanters. Tall champagne flute with thistle bowl, teared mushroom knop stem and folded foot. Tumbler with slightly flaring sides and heavy base. 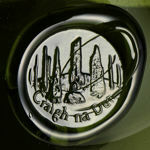 Height of tumbler in photo: 3.75"
We have made eight seals with designs inspired by the Outlander series. 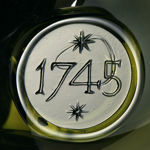 See this page for a link to bottles with Outlander seals that we have in stock. 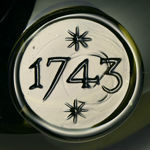 1743 - the year in which Claire finds herself after travelling back in time. 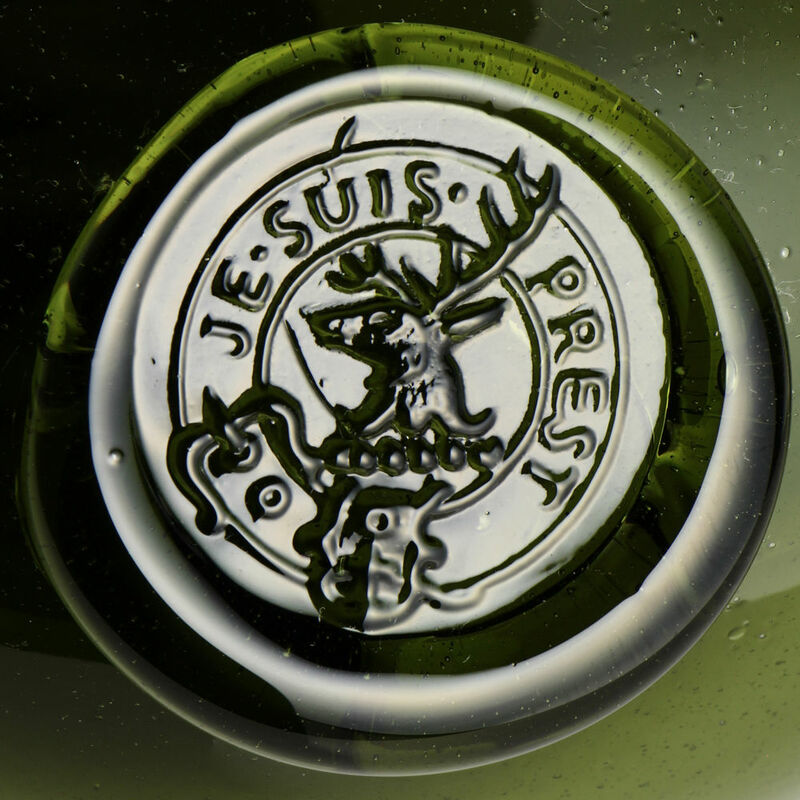 'Je Suis Prest' - the Clan Fraser of Lovat coat of arms. 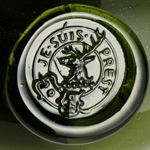 They supported Bonnie Prince Charlie from 1740 and fought for him during the 1745 Jacobite Rising. 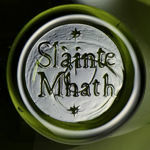 Sl鄆nte Mhath - the Scottish Gaelic for 'Good Health'. 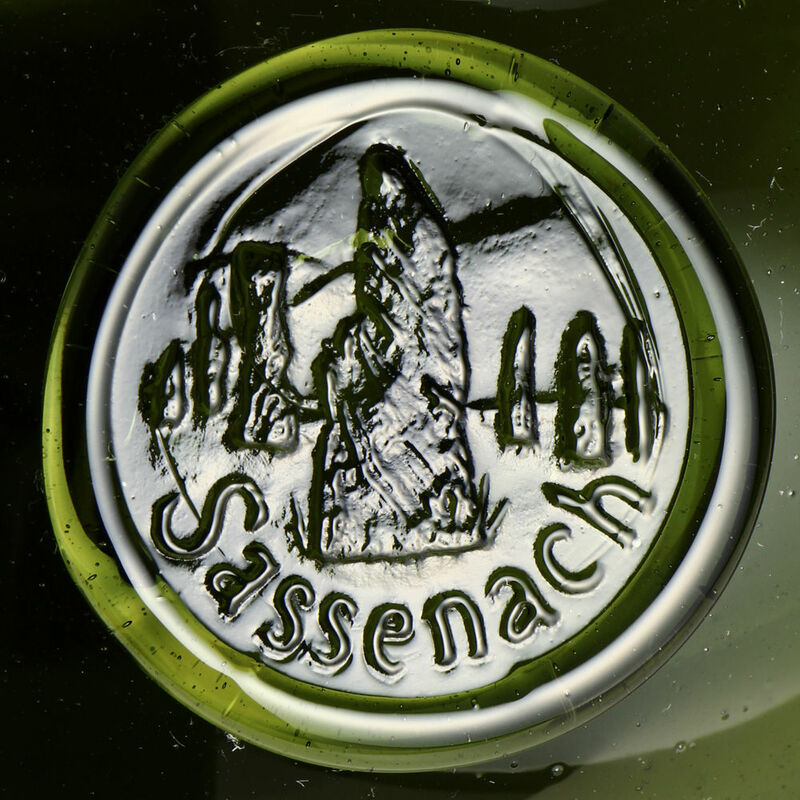 Sassenach - the Scottish Gaelic for 'Outlander' or 'English'. Originally meaning 'Saxon', it derives from the Latin 'Saxones'. 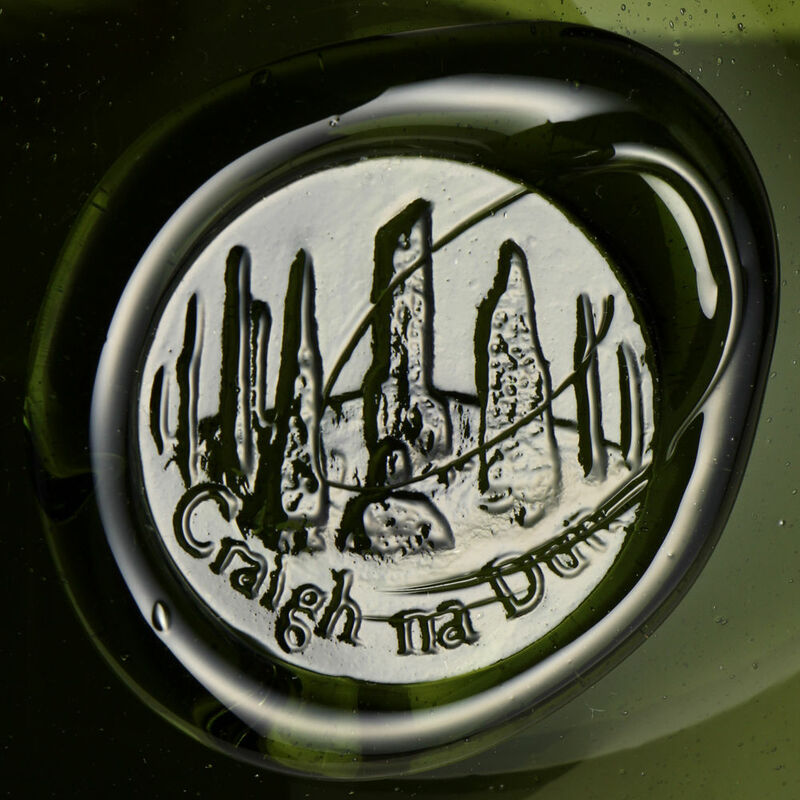 Craigh na Dun - the Craigh na Dun stone circle, the standing stone at the centre of which transports Claire through time. 1745 - the year of the second Jacobite Rising (the 'Forty-Five'), when Prince Charles Edward Stuart met Chiefs of the Highland Clans at Glenfinnan and raised the Jacobite banner on 19th August. 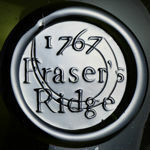 Fraser's Ridge 1 - the settlement established by Jamie in North Carolina in 1767. 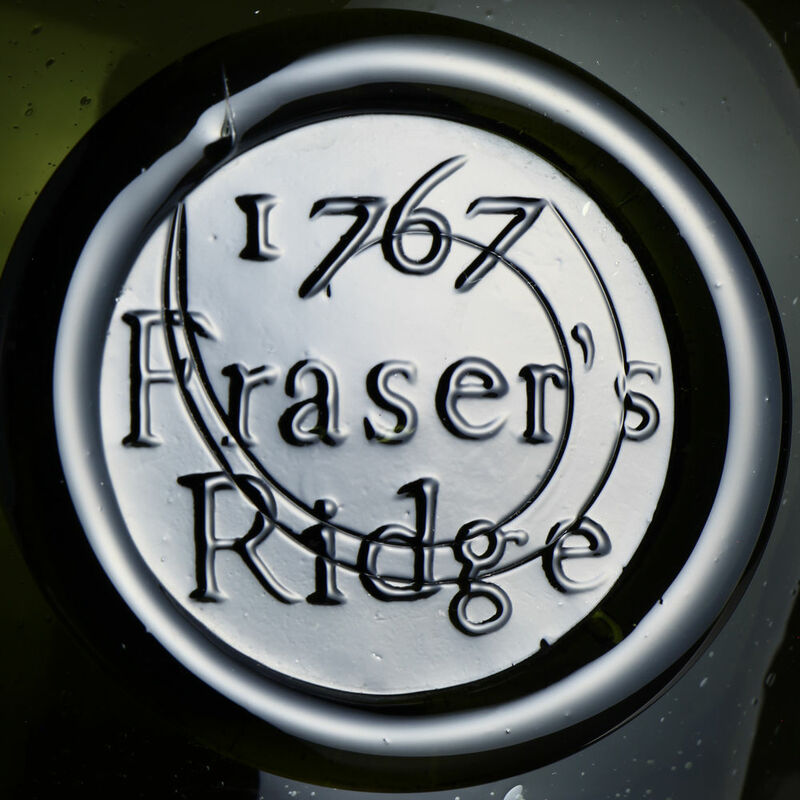 Fraser's Ridge 2 - the settlement established by Jamie in North Carolina in 1767: Claire and Jamie's house. 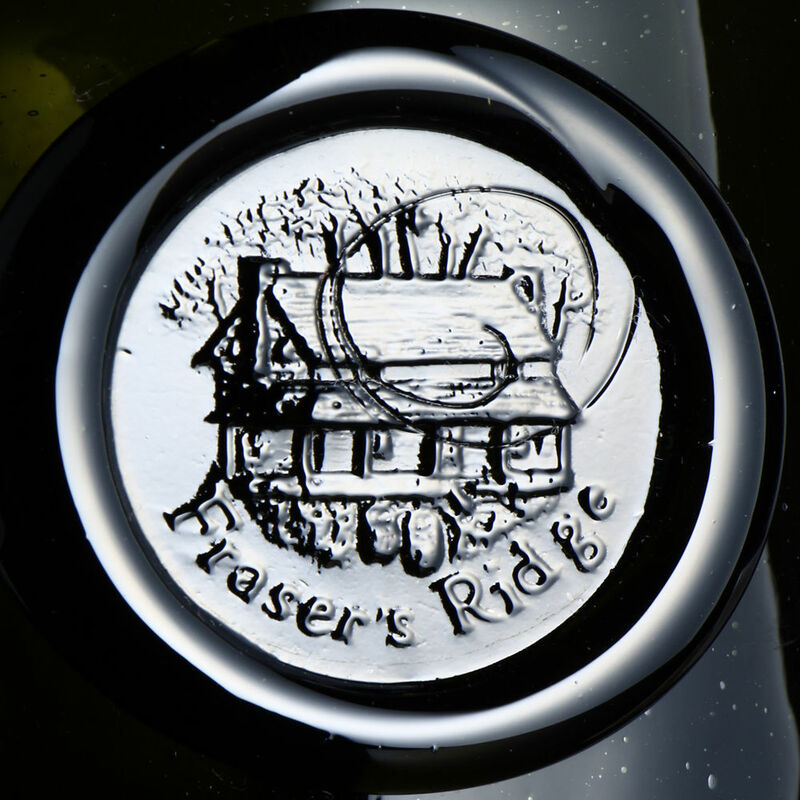 See this page for all of the Outlander vessels we have in stock. All these carriage prices are for tracked and signed-for deliveries and are based on a 'Next Business Day' delivery service. They are estimates only, and the actual charge may vary slightly depending on the size and weight of the parcel. The US Dollar prices are also estimates, and are based on the mid-market price on 23rd June 2018 of 1GBP = 1.33USD. The actual price will depend on the exchange rate offered by PayPal on the payment date. For parcels under 2 kilos (typically parcels with one or two small or medium size glasses) there is an alternative delivery service which will take five to seven days, but which is about �to � cheaper than the prices above. Customers in the United States and other countries can expect to pay Import Duty. See this page for information. For an up-to-date US Dollar price, please visit a financial website such as xe.com. Couriers and postal companies are not keen on insuring glass, so we operate a replace or refund policy. We are able to take PayPal payments, and will invoice directly via PayPal. If you are unfamiliar with this method, please see this page or ask us for payment details.